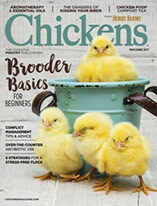 Maintaining a healthy pasture-raised poultry system requires a holistic approach that considers the plant community, the soil and the chickens. 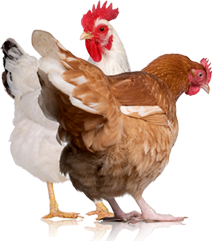 In most pastured poultry systems, chickens have unlimited access to pasture during the day and are housed in a mobile coop at night. Using a movable coop is especially important for pastured poultry systems because it makes rotational grazing (which is to say, moving livestock from one patch of land to another) easier to implement. While regularly moving the coop, the animals and the fence is more time-consuming and labor-intensive than using one large pasture, there are important benefits to consider in this approach. In general, soils and pastures tend to perform best when allowed a rest period free from poultry. More specifically, allowing chickens to harvest forages systematically can lead to increased soil fertility, a diverse plant community and an extended grazing period. However, maintaining a healthy pasture-raised poultry system requires a holistic approach that pays attention to the plant community, the soil and the chickens. Here are some tips and considerations to keep in mind while designing a rotational grazing system for your yard or pasture. The most common complaints among flock owners who raise their birds on pasture are inadequate plant cover, weed invasion and slow growth—all of which can be prevented using proper grazing management. In contrast to rotational grazing, continuous grazing allows chickens to graze the most palatable and most nutritious plant species repeatedly to the point that the root reserves are depleted and those preferred plant species eventually die off. This scenario results in uneven plant cover. To make matters worse, weeds prosper due to not having to compete with other plants for resources, go to seed and ultimately invade the pasture. In other words, giving root reserves time to regrow and recover from grazing allows multiple plant species to prosper, instead of just one invasive species, resulting in a more diverse plant community. At the same time, soil fertility increases because the higher root mass found in plants that have had time to recover from grazing increase the soil organic matter. While there is no set rule on when to move your coop, most poultry farmers recommend not allowing the pasture to get below 2 inches tall because blades of grass that are less than 2 inches tend to take longer to regrow and recover from grazing. More specifically, a grass leaf that is 2 inches tall can grow 2 inches more in length in half or even a quarter of the time it takes a 1⁄2-inch grass leaf to grow the same length. Furthermore, grasses over 8 inches tall are not ideal because grass that is too mature and tough lacks nutritional benefits and becomes more difficult for chickens to digest. If this is the case, you have the option to mow these tall grasses or switch to longer grazing periods in order to keep plants short and producing more green shoots. Paying attention to the grass levels in your pasture can help you optimize its growth rate and ensure that your chickens always have tender, high-quality forage. It’s important to remember that unlike other grazing animals, chickens are not ruminants and therefore lack the proper enzymes to digest grasses. Grasses, however, do provide welcome benefits to poultry pastures, including maintaining soil structure, providing nutritious seeds and attracting insects. Overall, providing a diverse environment that contains a blend of grasses and legumes is the best way to offer a high-quality, palatable pasture for your chickens. Generally, poultry prefer to consume tender regrowth that is relatively short because it’s more palatable and contains higher amounts of omega-3 fatty acids. Therefore, planting a diverse mixture of forages with differing maturities in your backyard or field allows for a high-quality, longer grazing season. White clover is a good long-term clover that is useful in poor soil conditions. Popular grasses found in poultry systems include orchard grass, perennial ryegrass and tall fescue. (Adding a legume to tall fescue increases the palatability and nutritional value of the yard.) In general, poultry prefer annual legumes, alfalfa and clovers over grasses, so it’s important to let these plants go to seed periodically so they persist in the pasture and stay in the forage mix. Another reason to keep grasses short is that in order for legumes to prosper, they can’t be shaded out by tall grasses. Even weeds, when they are immature and palatable, can provide good nutrition for your poultry but should be controlled before they flower and produce seed which can lead to weed invasion. Overall, growers can rely on species diversity and nutrient cycling from manure and plant senescence (the process of aging in plants) to supply a large portion of pasture soil fertility. As mentioned previously, there is no set rule on when or how often to move your coop. However, as a general rule, you want to move your coop before the grass is less than 2 inches tall and you want to make sure your pasture was able to recover from grazing for at least three weeks before using it again. Plants with a three-week downtime or longer tend to make 30 to 70 percent more forage than plants that are continuously grazed on. With these rules in mind, you can probably start to figure out how often you want to move your coop. If you are planning to move your coop daily, weekly or monthly, consider a portable fence; if you plan to move your coop seasonally, a semipermanent fence may be more appropriate. While electrical fencing is not very effective at keeping chickens inside, using a temporary electrical fence is still highly recommended, especially if you live in an area where predators—raccoons, skunks, opossums—are common. 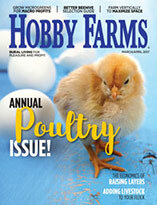 After all, the primary cause of mortality in pastured poultry operations is predation. Depending on how soft the soil is you may want to go with a single- or double-spike fence posts. For the most part, double spikes work well at preventing the fence from sagging, especially if your soil is very soft. If your soil is hard and dense, drivable fence posts are your best bet as these can be hammered into the soil for greater stability. When purchasing an energizer to power your fence it’s extremely important you purchase the correct one for your specific fence, so contact the manufacturer or store to make sure you’re good to go. When deciding the size of your pasture paddock, keep in mind stocking density: A good rule to follow is to provide at least 5 square feet per bird in the pasture area. Before installing your electrical fence, mow down the grass where you are planning to install the fence to help ensure your fence charge won’t be grounded by grass. Generally, you want the fence charge to be between 4,000 to 5,000 volts. Some farmers may say that for poultry operations a voltage between 500 to 900 volts may suffice. However, remember we mentioned that electrical fences are more for predator control and not so much to keep the chickens inside the paddock, so that higher voltage is recommended. Similarly, if you have other livestock in your rotation system, you want to make sure the voltage range is based on the livestock that requires the higher voltage. To check the charge on your fence, there are commercial fence testers available. Typically, if your voltage is high but your fence isn’t working, the energizer is working fine and you should inspect your fence more closely. To prevent your fence from losing charge, inspect and clear its perimeter from grass or materials that may be grounding the fence. By adopting a pasture rotation system, you can prevent overgrazing and control nutrient cycling between your pasture and chickens more efficiently. While it’s important to experiment and develop a rotational system that works for your yard or farm and takes into account the amount of seasonal forage available, the number of chickens grazing and the desirable plant height for poultry grazing, these are just a few tips and general recommendations to consider. Every situation is unique; therefore, it’s highly recommended you consult an extension specialist and/or electrical fence consultant when designing the best pasture system for your pasture or yard. This article was written by Myrna Cadena, an avian sciences graduate student at UC Davis; Catherine Bronge, senior plant science student at UC Davis; and Maurice Pitesky from the UC Davis School of Veterinary Medicine Cooperative Extension.